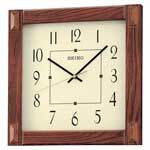 Chiming, dark brown solid oak traditional wall clock. Curved Glass Crystal with spun brass moving "Lyre Style" pendulum. 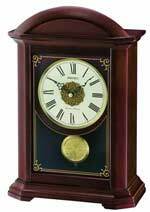 Reeded columns grace each side of the clock with brass accents at the end of each column. 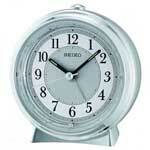 Westminster/Whittington hour only chime , hourly strikes, volume control and automatic nighttime silence option. 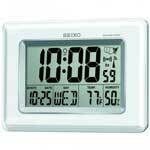 One year warranty and Free Shipping.